Phoenix continue their summery streak with new track Goodbye Soleil, the third single to be released from the upcoming album Ti Amo. With a high-pitched robotic lick and building synth to match, Goodbye Soleil equals the lax and floaty rock of recent material, including the French chorus reflecting the universal feel of titular track Ti Amo released in May. 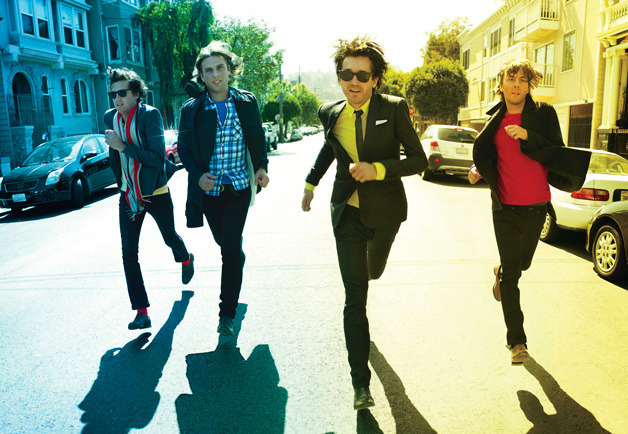 The echoic vocals of Thomas Mars adds to the smooth resurgences of the song, its chilled feel being its greatest asset. Yet its lack of change throughout makes for a track that is frankly a bit uninteresting. Unfortunately, Goodbye Soleil doesn’t reach the height of Pheonix’s previous two singles, but its diverse direction surely gives hype for the upcoming album. Phoenix take a universal approach to their latest and vivacious single Ti Amo, which confesses Thomas Mars’ love in a multitude of languages. Accompanied by bubbly beat, heavily reliant on a thumping bass that recalls an amplified version of If I ever feel better, the summer-y sounding track has strong roots in a funky ambience that strays from the heavier synth-rock journeyings of 2014’s Bankrupt. An infectious chorus paired with a chilled computerised beat makes for a staple holiday playlist addition, and confirms that Phoenix can master electro-pop from all angles. The new album – also called Ti Amo – promises a similar sunny effervescence, and drops in June. Parisian electro-pop group Housse de Racket are to release their new album The Tourist next week and have released the title track as a single this week. It’s a track that features blocky synths and beats arranged in rotating rhythm which makes it easier to throw in other elements such as a beat and bass line and these fall into place nicely. This simple arrangement makes for a track with an infectious rhythm. The monotone vocal worked for the opening moments of the track, but it does grow a little monotonous for them to remain the same as the track expands and grows and it takes a bit of life out of those moments. A more prominent backing vocal alone would have done the trick here. Melody’s Echo Chamber is the dream-pop and neo-psychedelic project of Melody Prochet of Paris. She released her debut self titled album back in 2012. The album featured Pablo Padovani of Moodoid on guitar and the familiar figure of Kevin Parker of Tame Impala behind the mixing desk as producer. These two figures were open minded and creatively inquisitive choices from Melody in combining the sprung and light cascading sound of Padovani’s guitar with Parker and his ability to create washed out waves of sound with acres of space and scope to grow and expand. This resulted in a delicate piece of psychedelia with the intricacy of Padovani’s riffs partnered with Melody’s higher pitched, yet calm whisper to guide the song slowly through the washes of lapping sound and space from Parker’s production. A song best encapsulating these concepts is ‘I Follow You’. It’s one of the more well known tracks off her debut and has the light hook and steady beat of the cascading riffs and simple snare beat. From this, the more distorted and drawn out guitars and synths allow the track to progress and fluctuate in different directions, but guided by the soft, reassuring vocal from Melody. A heavily distorted and grinding riff leads the song out while still interlocked with the song’s steady foundations. A method with produces a paradox of at times concentrating on the song’s light rhythm and whispered lyrics or just completely losing all thought in the expansive sounds it creates. A perfect track for those late summer nights. 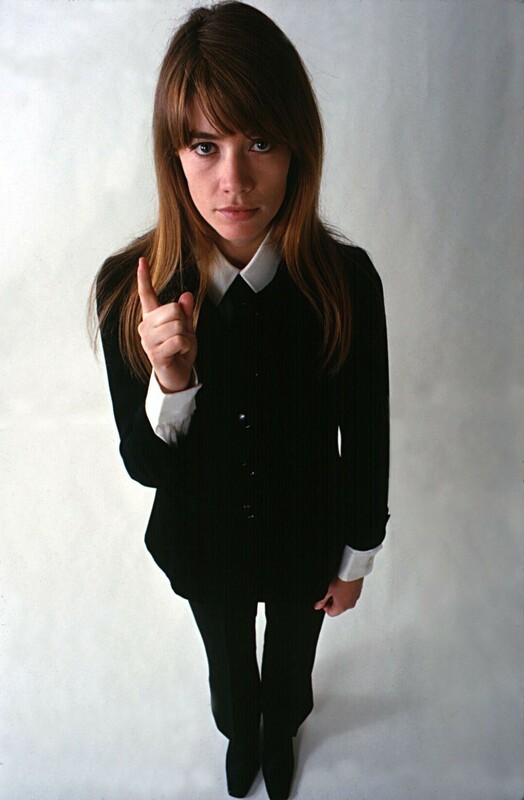 Francoise Hardy exists being one of the decades icons in style, film and of course music. The latter is what she was devoted to, even though she could have easily been successful in various other professions. Testament to her talent is how the vast majority of her most famous songs around the world are completely in French. She has recorded excellent versions of her work in English, German and Italian, but she always sounded so much better in her native language. It is more believable perhaps. More true. It has been wrongly said that her looks made her much easier to market around the world but surely it was her talent for translating emotions and feelings very effectively; even through another language that did that for her. Her vocals have a great depth and warmth to them and this couldn’t be more true for ‘Le Temps de l’amour’ from very early on in her career in 1962. The percussion is light, airy but also rapid and so acting as the hidden rhythmic engine of the song. The highly compressed guitar riff is a cool and confident way to pen the track along with the very heavy bass sound which isn’t reacting off the guitar but doing it’s own thing and creating the tune. It makes for a perfect pairing with Hardy’s low vocal base. She holds it with ease and finesse and evokes the same coolness of the instrumentals. The 60’s may have been known for Merseybeat, Swinging London, artistic New York and sun kissed California, but Paris was also a major player and this is it’s soundtrack. Last year, Parisian group Phoenix came to blow a synthsiser shaped hole through our minds with ‘Entertainment’. It’s catchy synth driven sound and energetic drums in the chorus and the muted plucked guitar strings and deep electro bass sound of the verses. The balance between the raging electo of the chorus and the more considered but still darn catchy verses and bridged excellently with a build up of synthesisers to ease the listener into the chorus with little effort. All this is complimented by Thomas Mars and his slightly naive vocal style brilliantly. Even the weird singing along with the song towards the end just seems to work as the the synth sounds and drum beats culminate into a finale. All in all the song is a polished piece of flawless retro synth pop and when it takes you that long to describe it then you know it’s pretty good. Almeeva is the name of an on-going Parisan project from Greg Hoepffner. A deliverer of rich and fluctuating electronica; his latest EP ANAMPORPHIC does just that too. It’s out on September 22nd and is preceded by him sharing the stage with electronic synth lazers pioneer Bernard Szajner at the Centre Pompidou in Paris on September 18th for a live show called Evolution. The four track EP open with ‘Soviet Superstructures’. An instrumental track with a whirring opening which soon shimmers, glistens and reverberates into life via a wide range of electronica. The song expands and grows it’s sound with all confidence with synth bursts and retracts to focus on the percussion or a single set of chords. The transitions are clean and purposeful with acres of space and room to manoeuvre. A fine example of the potential modern music has. ‘Parallels’ follows and see’s Greg take up the vocals with a soft, wistful and fading fashion that is balanced by the deep and churning beats and chords behind it. An effective marriage of tones and feels. ‘Felt’ has a pulsating, yet muted beat with guitar tracks trickling over the top of them as the synths arrive to gradually and subtly grow the song’s space and area. This is followed by a crisp beat part that is joined with a deep rooted bass-line, wispy vocals and electronic chimes. These laser-like sounds pull the song towards a full instrumental conclusion with a solidified beat and rhythm which is still glazed over by the haunting and fading vocals. ‘Palindrome’ begins with bold vocal unisons and haunts that usher in a sharp synth rhythm with meandering’s of percussion and bass notes behind it as they step back and forth in volume and presence. Again the track lifts and floats beyond it’s instrumental boundaries to explore the song’s expanses. Another fluctuation occurs with the introduction of the isolated vocals that are joined only by the heavily plucked strings of the riffs alongside him to them progress to a heavy vocal and electronic roaring chime before a final rhythmic section. An EP which is wonderfully and intelligently produced as no moment is spared from the fluctuating and diverse nature of each track in it’s structure, feel, atmosphere and more. An EP you should be listening to when it’s out on September 22nd. Here is ‘Soviet Superstructures’ below. Check out the link for the live Evolution show for September 18th too.